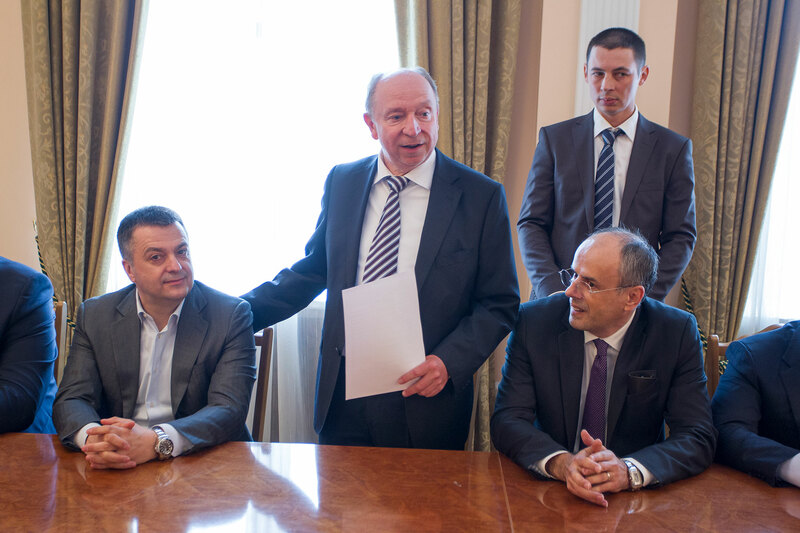 On 4th December, 2017, at the session of the Academic Council of the KPI "Igor Sikorski" the awarding ceremony of degree " Honorable Doctor of Science" of the National Technical University of Ukraine, "Igor Sikorski Kyiv Polytechnic Institute" to the Honorary Consul of Ukraine in Montenegro, Predrag Milović, was held. 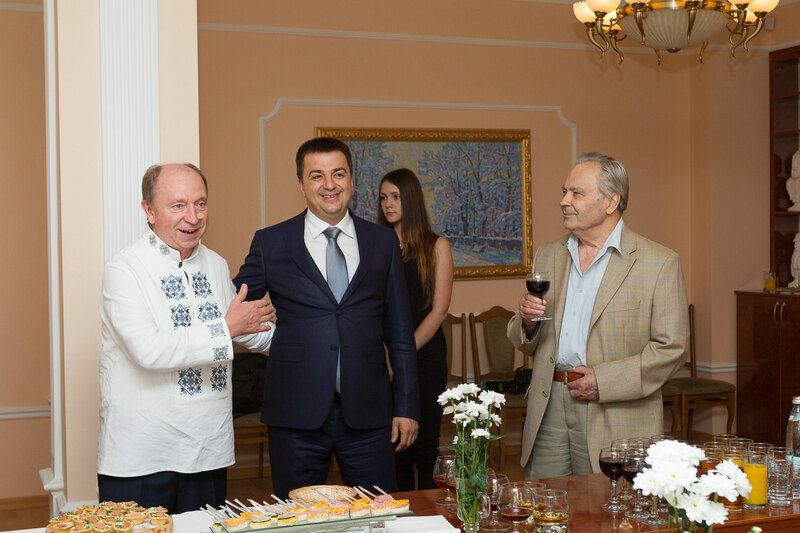 On 29th May, 2017, on the occasion of the eleventh anniversary of the Independence of Montenegro, a formal reception was held at the Cultural Center of the Honorary Consulate of Montenegro in Ukraine which was organized by the Honorary Consul of Montenegro in Ukraine. 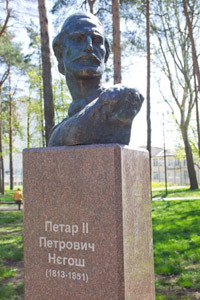 On May 25 the opening ceremony of the monument dedicated to Yuri Kondratyuk was held for the occasion of marking the 120th anniversary of his birth. The opening ceremony was attended by numerous scholarly and pedagogic associates of University, students, guests and partners from Germany, Montenegro and Bulgaria. 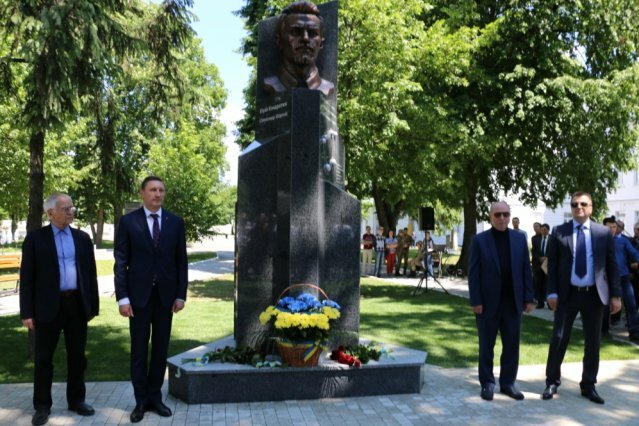 The momument was opened by the Rector of the Poltava National Technical University, Volodymyrr Onyshchenko, the President of Minor Academy of Science of Ukraine, Honorary Consul of Monetengro in Ukraine, Stanislav Dovgiy, Honorary Consul of Ukraine in Montenegro, Predrag Milovic, Ukrainian poet, Dmytro Pavlychko and academician of NAN of Ukraine, the director of the Institute of Hydromechanics NAN of Ukraine, Victor Grinchenko. 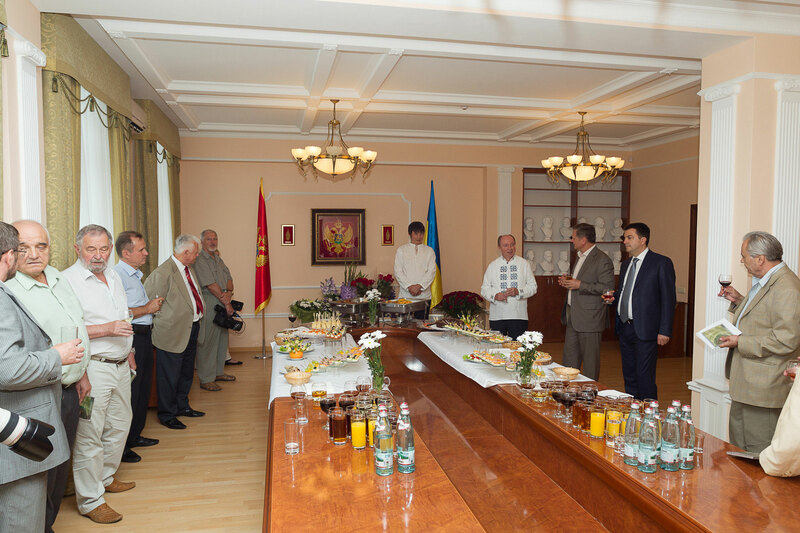 On May 25, 2017 at Poltava National Technical University, the Minister of Education and Science of Ukraine, Liliya Hrynevych, Honorary Consul of Ukraine in Montenegro, Predrag Milovic and Honorary Consul of Montenegro in Ukraine, Stanislav Dovgiy opened the representative office of Honorary Consulate of Montenegro in Ukraine in Poltava, owing to which the bilareral cooperation with University of Montenegro will be developed, and scholarly and teaching staff will be able to join the culture of Montenegro. 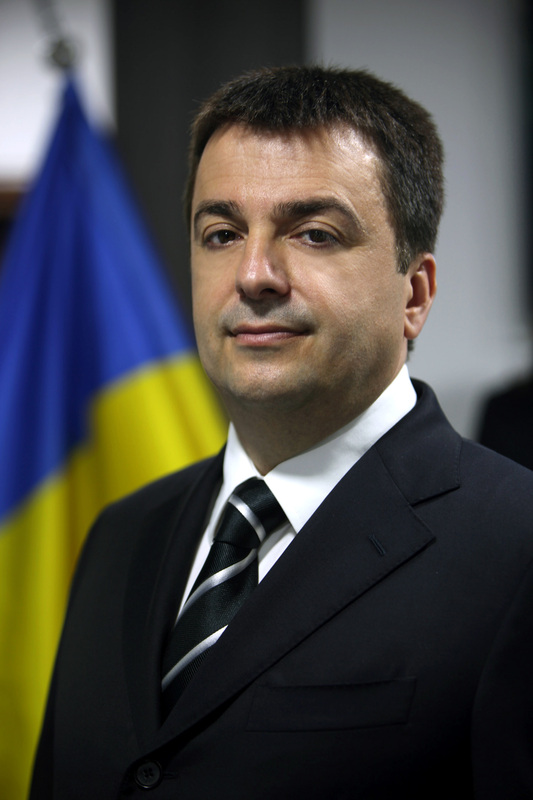 Honorary Consul of Ukraine in Montenegro, Predrag Milović, as a member of the Delegation of Ukraine attended the official events during the visit of the Prime Minister of Ukraine, Volodymyr Groysman, to the Republic of Turkey on 14th and 15th March 2017. 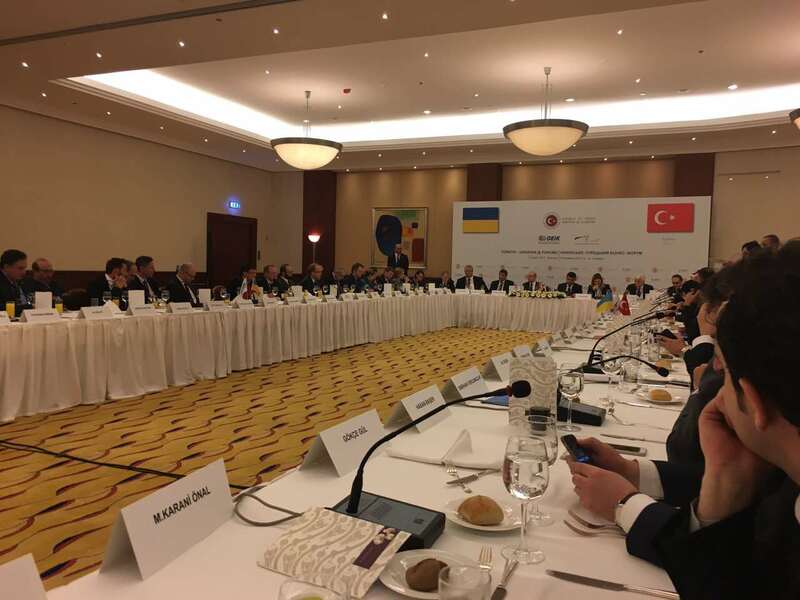 During the visit the Bilateral Agreement between Ukraine and Turkey has been signed that will allow the citizens of these two countries to travel without passports but with new identity cards. The implementation of the Agreement shall intensify the bilateral relations between these two countries in social, cultural, humanitarian sphere and other fields. 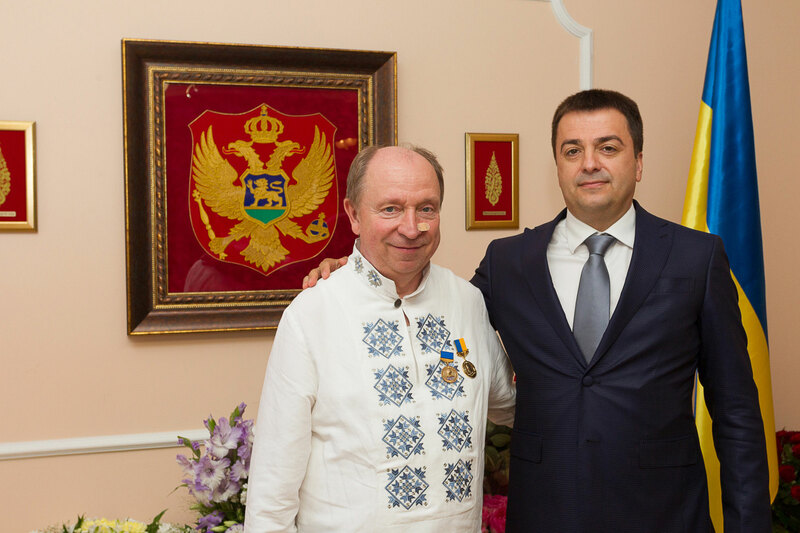 Honorary Consul of Ukraine in Montenegro, Mr. Predrag Milovic, was awarded the Order of Merit, III class which is given to individuals for their outstanding achievements in economic, scientific, cultural, military, political and other areas of social activity. 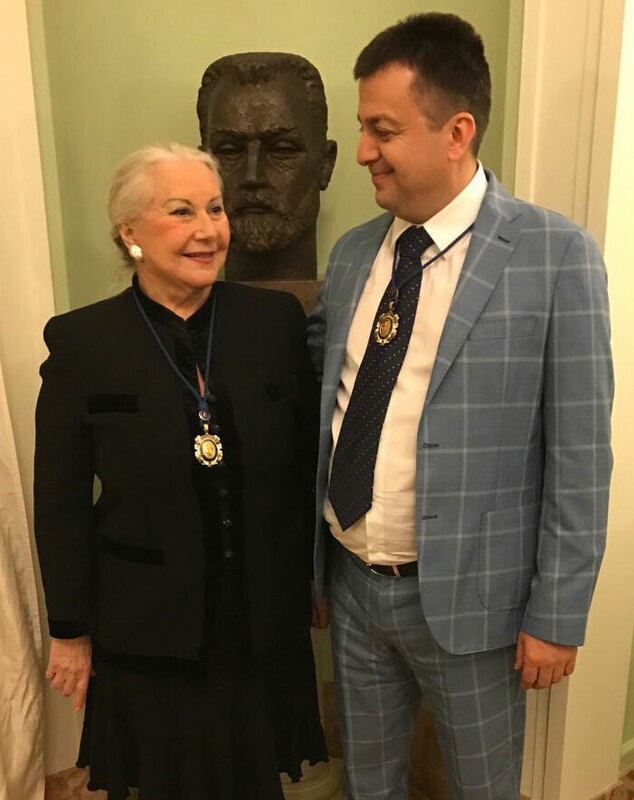 On the occasion of the 25th anniversary of Independence Day of Ukraine, the President of Ukraine awarded this medal to Honorary Consul of Ukraine in Montenegro for his personal contribution to strengthening the international authority of Ukraine. 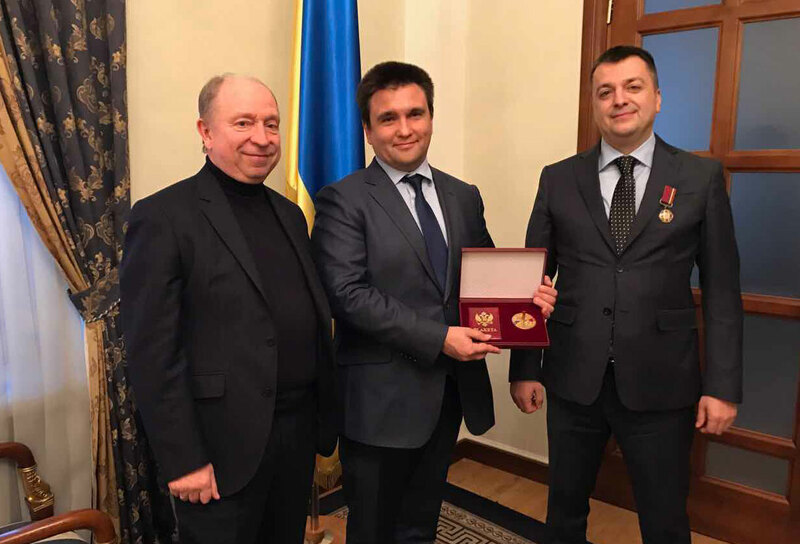 The medal was awarded by Minister of Foreign Affairs of Ukraine, Mr Pavlo Klimkin, in the assembly hall of the Ministry of Foreign Affairs of Ukraine. The European Academy of Sciences, Arts and Literature, EASAL (L'Academie Européenne des lettres, des sciences et des arts, AESAL) - the international non-governmental organization, established in 1979 has more than 300 members of national academies, more than 60 Nobel laureates from 54 countries. The purpose of EASAL – to improve the collaboration in the field of education, science, arts and literature regardless of racial, national, language, religious and other differences for the peace among the people. EASAL cooperates with UNESCO, national academies and other international and national organizations. The activities of Academy include researches, conferences, publishing of reports, annual symposia. The President of the European Academy of Sciences, Arts and Literature is an emeritus professor of physics at Imperial College London, a former president of EuroScience, Jean-Patrick Connerade. The initiative for establishing the Academy belongs to a famous artist, art critic and historian of science Dr. Nicole Lemaire d'Agaggio. The annual meeting of the Academy was held on 18th December 2016 in the Scientific Centre of the Polish Academy of Sciences in Paris. It was attended by the famous scientists and artists from all around the world. The participants heard the report of the President of Academy, professor Jean-Patrick Connerade, and his speech dedicated to reflections of the Renaissance scientific ideas in the works of Shakespeare (the world community has commemorated 400 years since the death of William Shakespeare this year ). The report raised a lively discussion. Among other things, the acceptance of academic awards to prominent scientists and public figures should be pointed out. 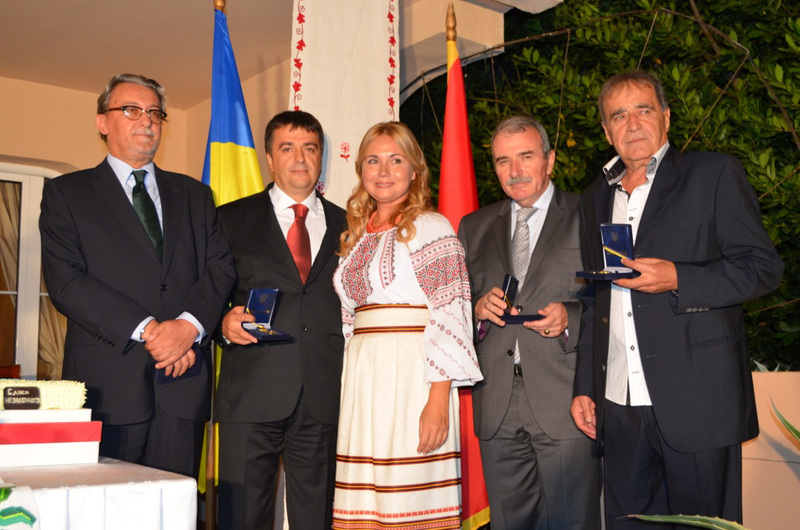 Thus, based on the recommendation of the Centre of EASAL in Kiyiv, Honorary Consul of Ukraine in Montenegro, Mr Predrag Milovic, was awarded with academic Medal of Merit for achievements in development of scientific and artistic releations between Montengro and European countries. Acad. Nicole Lemaire d'Agaggio while awarding the medal to Mr Milović emphasized the need for greater cooperation between European Academy and unbelievably rich country in scientific and cultural sense. She also handed over the Diploma of a member EASAL to the remarkable writer and literary critic, the President of the Doclean Academy of Sciences and Arts, Mr Sreten Perovic. Among the projects that have been agreed during the annual meeting of the European Academy of Sciences, Arts and Literature, there is an international Competition of poetry " Love for Freedon", which is planned for 2017, and establishment of close cooperation between French and Montenegrin partners, presentation of achivements of Montenegrin science and culture in spring of 2018 in the town of Antibes in the Alpes-Maritimes department on the French Riviera in the south of France. 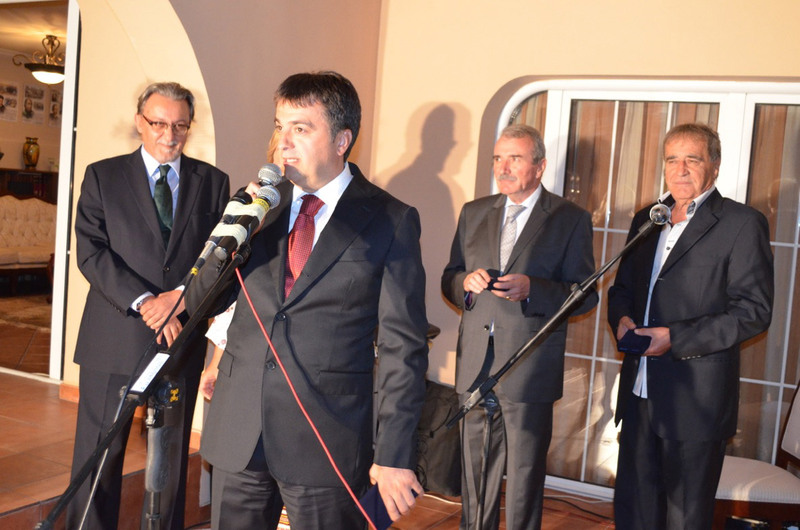 The ceremony on the occasion of 10th independence anniversary and a millennium of statehood of Montenegro has been held in Kyiv, at the Honorary Consulate of Montenegro in Kyiv, on 20 May 2016. 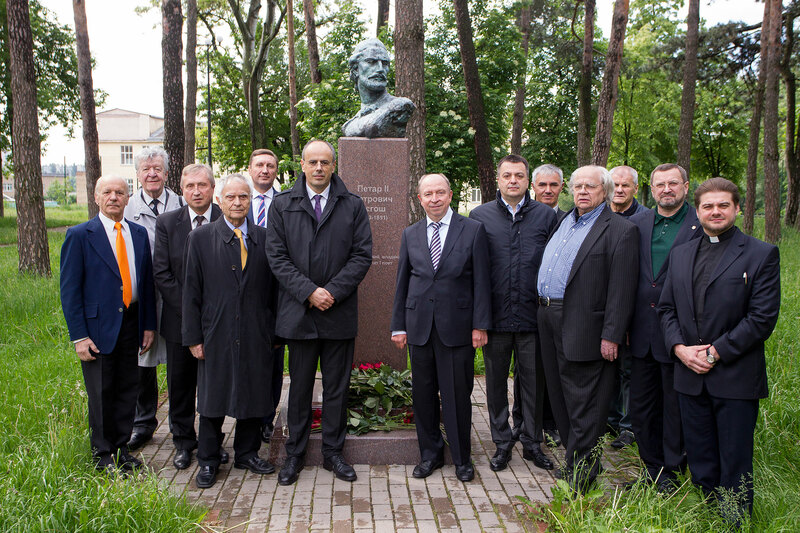 After the laying of wreaths at the monument to Petar II Petrović Njegos in Kyiv, a reception was held at the Cultural center of the Honorary Consulate of Montenegro in Ukraine. 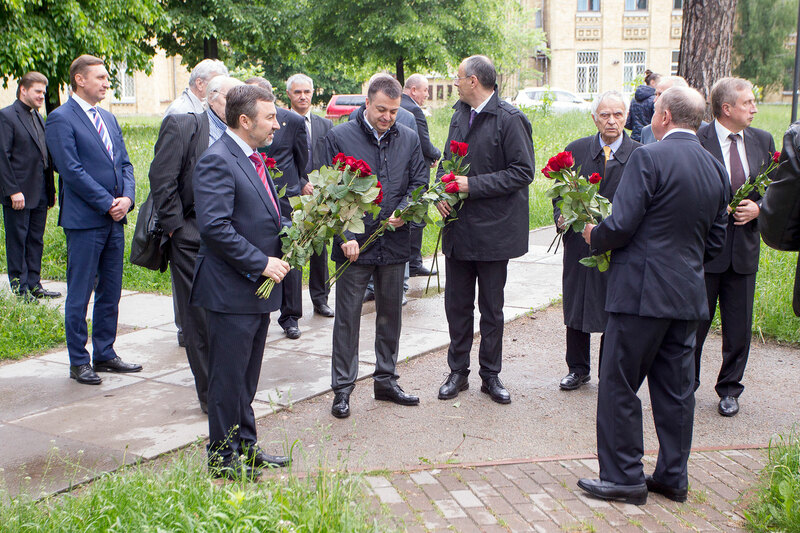 The ceremony was attended by the Ambassador Extraordinary and Plenipotentiary of Montenegro in Ukraine, H.E. 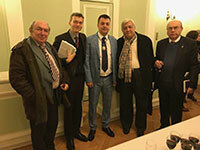 Mr. Ljubomir Misurovic, Honorary Consul of Ukraine in Montengro Mr. Predrag Milovic, Honorary Consul of Montenegro in Ukraine Mr. Stanislav Dovgiy, Minister of education and science of Ukraine Lyilyiya Grinjevich, a poet, a translator, a statesman, the hero of Ukraine Ivan Drach, a poet, a translator, a literary critic, a social and political figure Dmitro Pavlichko, the director of Directorate of Consular Affairs of the Ministry of Foreign Affairs of Ukraine Andriy Sibiga, Head of a group on inter-parliamentary relations with Montenegro Andriy Shipko, a director of the Institute of literature T.G.Shevchenko, an academician of Academy of Arts and Sciences of Ukraine Mikola Zhulinskiy, a director of the Great astronomical observatory of AAS of Ukraine Yaroslav Yackiv, a rector of a National school of judges Mikola Onishchuk, national deputies of Ukraine, diplomats, cultural and art representatives, as well as heads of higher educational institutions. The Honorary Consul of Ukraine in Montenegro Mr. Predrag Milovic held a touching speech recalling Montenegro’s way to its independency and expressed his gratitude, pleasure and honor for organizing the ceremony. Ukrainian artist Femiy Mustafayev performed the anthem of Montenegro on this occasion, and he also performed it in Ukrainian language, upon the request of all who were present and the author of the translation Dmitro Pavlichko. 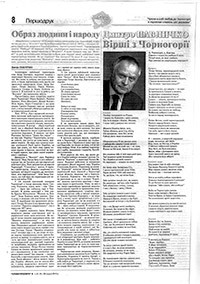 Download the translation of Montenegrin anthem into Ukrainian language by D. Pavlichko. 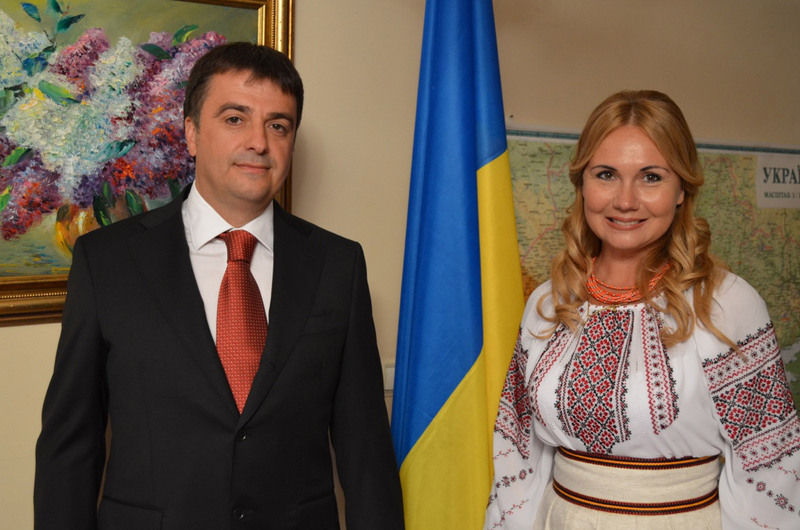 Ambassador Extraordinary and Plenipotentiary of Montenegro to Ukraine, H.E. Mr Ljubomir Mišurović emphasized that for Montenegro this date is not just the tenth anniversary of independence, but also the millennium of its statehood. He added that he hopes that the relations between Ukraine and Montenegro will develop in the future, and that it is necessary to establish cooperation, not only in economic but also in social and investment areas. 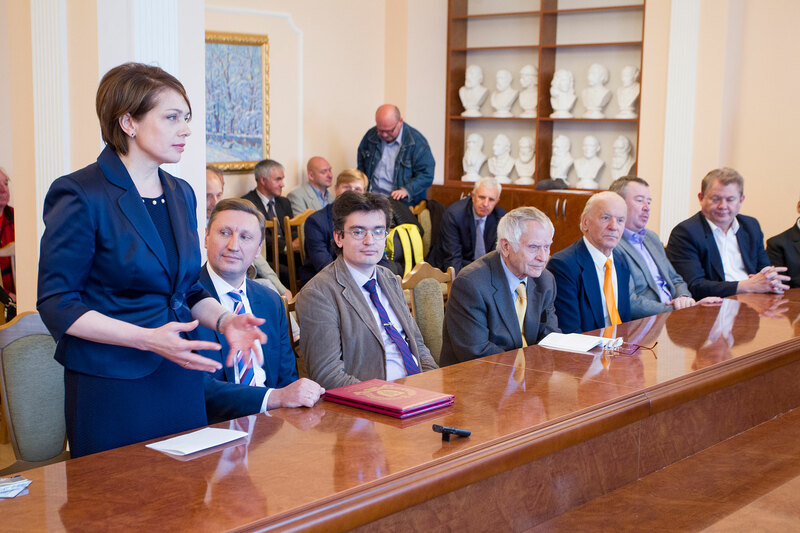 Minister of education and science of Ukraine Ms. Lyilyiya Grinjevich used the opportunity to congratulate not only the anniversary but the singing of the Protocol on the accession of Montenegro to NATO and to wish prosperous future period. She said that Montenegro made that important step, while Ukraine hasn`t made any step yet and that Montenegro inspires Ukraine. The Director of the Directorate of Consular Affairs of the Ministry of Foreign Affairs of Ukraine Andriy Sibiga, said during his speech that Montenegro is becoming one of the leading tourist destinations for many Ukrainians and wished that Ukrainians could also mark such ceremonies like the one of the accession of the country to NATO, and then its joining the EU. He also expressed his gratitude to Mr. Predrag Milovic for performing the functions of Consul of Ukraine, what is especially important for Ukraine, and above all for protecting the interests of Ukraine and Ukrainian citizens. He also stated that with such Consuls it is not necessary to open embassies. The head of the group for inter-parliamentary relations with Montenegro Mr. Andriy Shipko in his opening speech emphasized the high level of culture and spirituality of the Montenegrins, and Ivan Drach poetically reminded the participants about indestructibility of Montenegrin people during the history. Dmitro Drozdovskiy, the chief editor of the magazine Vsesvit, told the audience about the fruitful cooperation with Montenegrin poet and scientist Mr. Sreten Perovic – the President of Duklya Academy of Sciences and Arts, as well as the preparation of editions dedicated to Montenegro. 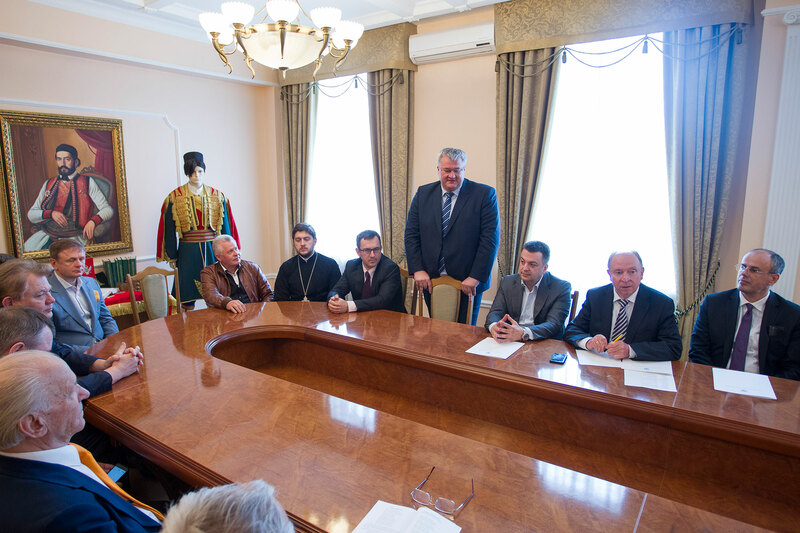 The organization of the ceremony, headed by Stanislav Dovgiy, was at the highest level and the representatives of Montenegro were glad to hear the attitude of the Ukrainian elite regarding their country and about systematic work on the popularization of Montenegrin culture and philosophy in Ukraine. Sergiy Vyaceslavovich Babushkin, a famous architect, a designer of many buildings of different purposes in Ukraine, Russia, Belarus, Latvia, Estonia, paid a visit to the Consulate of Ukraine in Montenegro. The work of Sergiy Babushkin stands out with the purity of architectural ideas, the reality of spatial planning, and his solutions are inventive and original. The professionalism is evident in his works which is witnessed by his numerous awards in many competitions. Consul of Ukraine in Montenegro, Mr. Predrag Milovic, attended a working breakfast organized by the Ministry of Agriculture and Rural Development of Montenegro. During the working breakfast with ambassadors in Montenegro, the Minister of Agriculture and Rural Development, prof. dr. Petar Ivanovic presented the key results which were achieved in the field of agriculture and rural development during the past year. 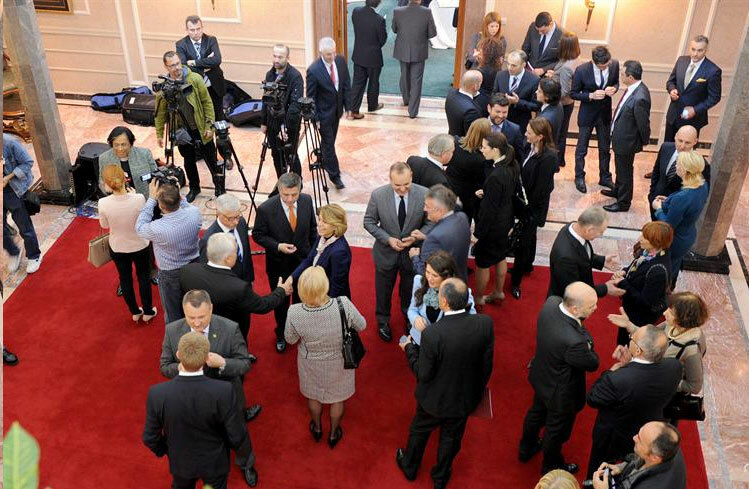 The working breakfast, which is held four times in a row, was an opportunity for the Minister to express thanks to the representatives of the diplomatic corps for the cooperation in projects of importance to the development of Montenegrin agriculture and getting closer to the EU standards in this field, but also to encourage the implementation of new ones. 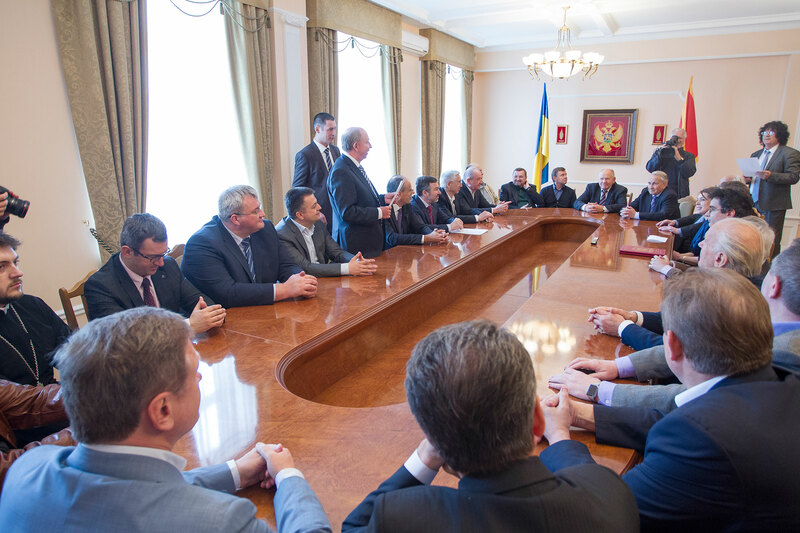 During the talks, the ambassadors congratulated Minister Ivanovic for the evident positive results, as well as for the approach that led to the realization of the earlier set goals in the agriculture sector. The particularly complimented the rapid progress in negotiating process with the EU and the achievement of standards that will enable the growth of competitiveness of Montenegrin farmers. The faith, love and patriotism of Sergey Galychenko haven’t allowed him to be separated from his native land, from Taras Shevchenko, from his dream. Last year he shared his dream of opening the memorial rooms of Shevchenko in his hometown and in other beloved places in his motherland. The preparation for exhibition was necessary for one memorial room, and materials – which are from the private collection of S. Galychenko, required showcases and installation. 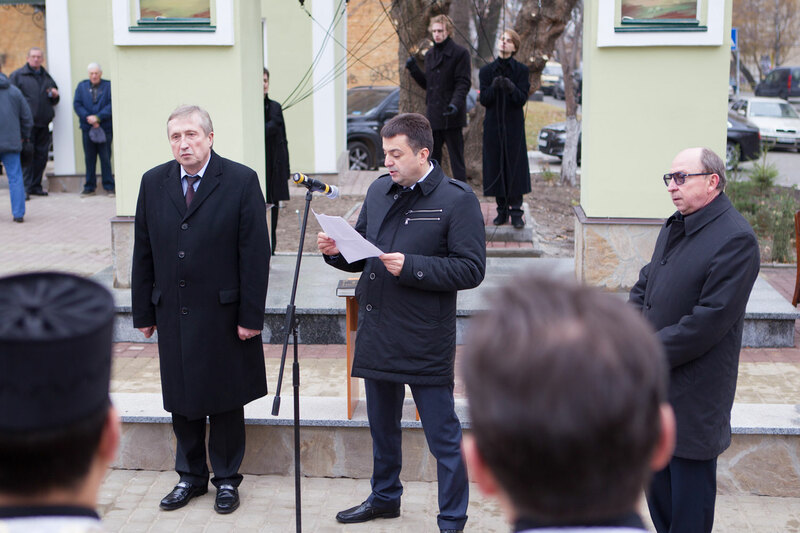 January 15 has declared as the Day of Mourning in Ukraine for the people murdered by terrorists, first of all, for the civilians killed at the checkpoint near Volnovakha on the January 13th. A condolences book will be opened at the Embassy (15 Serdara Jola Piletića, Podgorica) from 1 to 3 pm Thursday 15, and from 11 am to 1 pm on Friday 16. The awarding ceremony of the "Safe compass 2014"
The solemn ceremony of awarding the “Safe compass 2014” was attended by the Honorary Consul of Ukraine in Montenegro, Predrag Milović on Thursday, 18th December at the hotel Ramada in Podgorica, which was organized by the Alfa center Nikšić. This is an annualy award established on 22nd January 2010 for the outstanding contribution to the promotion of the importance of international cooperation, security and spreading ideas Euroatlantism in Montenegro. Beside the winners, at the ceremony the Speaker of the Parliament of Montenegro Mr. Ranko Krivokapić, the National Coordinator for NATO Mr. Nebojša Kaluđerović, His Exellency the ambassador of Slovenian Republic in Montenegro Mr. Vladimir Gasparič, the member of parliament Mr. Dritan Abazović and the director of the Alfa centr Mr. Aleksandar Dedović. The Deputy Prime Minister and Minister of Foreign Affairs and European Integration Igor Lukšić on the occasion of the upcoming New Year holidays and 35th anniversary of rebuilding Ministry of foreign affairs has prepared a traditional New Year reception on Tuesday, 9th December at the Villa Gorica for the diplomatic corps. Among the guests at the New Year`s Cocktail has also been the Honorary Consul of Ukraine in Montenegro Mr. Predrag Milović. Minister Lukšić expressed thanks to the diplomats for the great cooperation, reminding about significant achievements in Montenegro's foreign policy priorities in the previous year. Minister talked about Montenegro's strategic objectives, NATO and EU. At the end of the Reception, Minister Lukšić has announced the opening of the Consulate General in Munich at the beginning of the year, and it is planned to open the Embassy in Argentina. 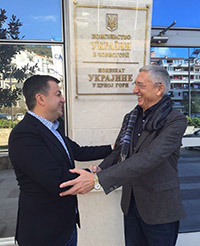 The Honorary Consul of Ukraine, Predrag Milović has made an official visit to Tivat today. During the friendly conversation with the Mayor of Tivat, Ivan Novosel, the Honorary Consul has expressed his pleasure about visible prosperity of Tivat. 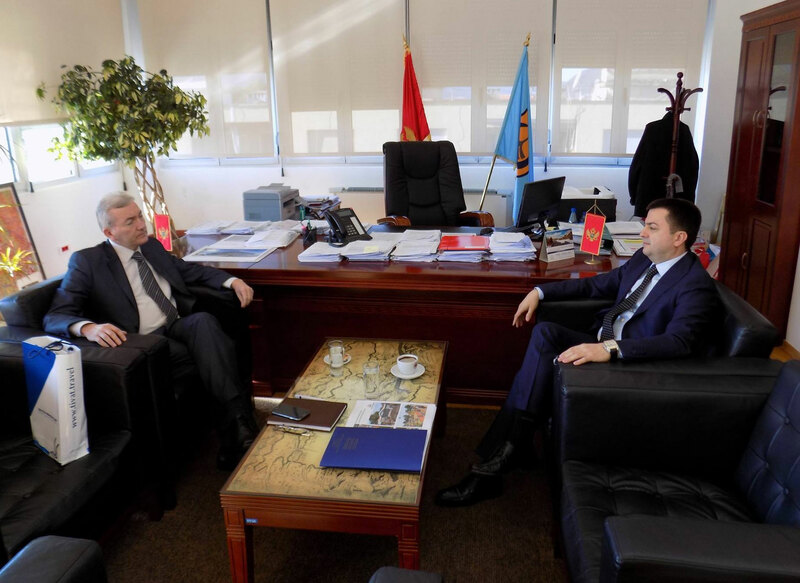 Mr. Milović said that there are great possibilities for improvements of cooperation between Ukraine and Montenegro, especially when it comes to investment activities of Ukrainian entrepreneurs in the territory of the Municipality of Tivat, and the Mayor shared the same opinion. Topics that have been discussed were different kinds of cooperation, especially in the areas of tourism, and sport, culture and education. 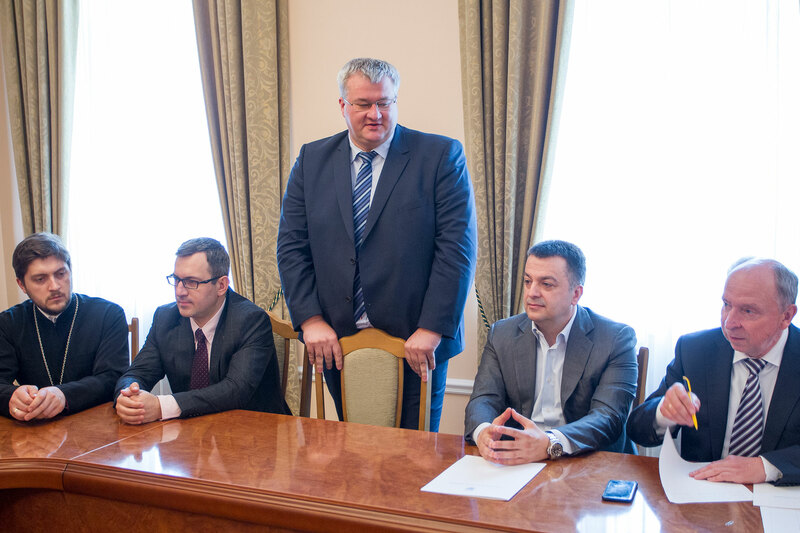 Also, they have promised that in the future they will make additional efforts to further continuation and enhancement of traditionally good relations between Ukraine and Montenegro – stated by the office of the Mayor. 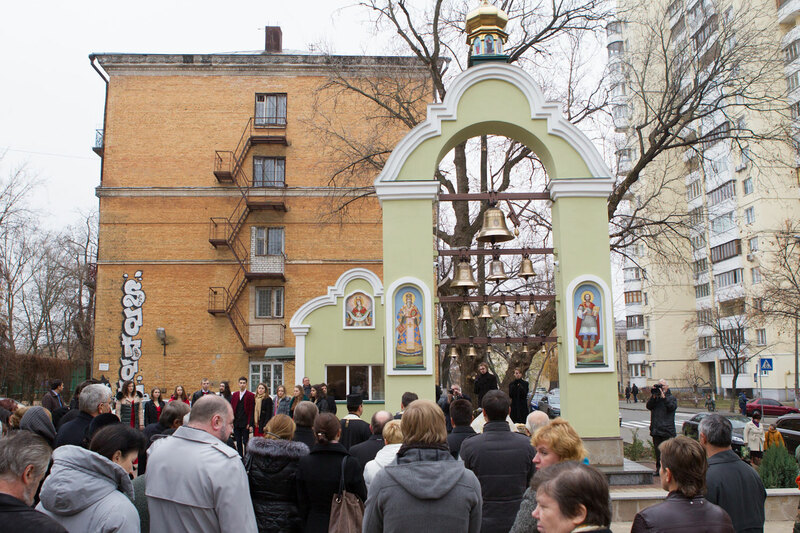 On November 13, in Kyiv solemn tone of bells could be heard – the holy liturgy was held for the consecration of the Bell Tower of Saint Basil of Ostrog. The Bell Tower is in front of the National Technical University of Ukraine “ Kyiv Polytechnic Institute, just next to the church of Saint Nicholas. 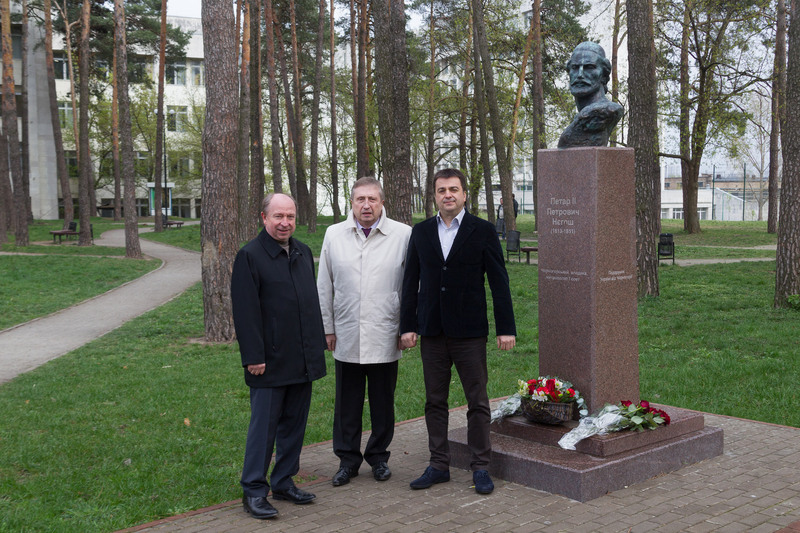 The idea of building the bell tower has been realised thanks to the donations of the Honorary Consul of Montenegro in Ukraine, Mr Stanislav Dovgiy, the Honorary Consul of Ukraine in Montenegro Mr Predrag Milovich and the well-known ukrainian businessman Igor Voronov. 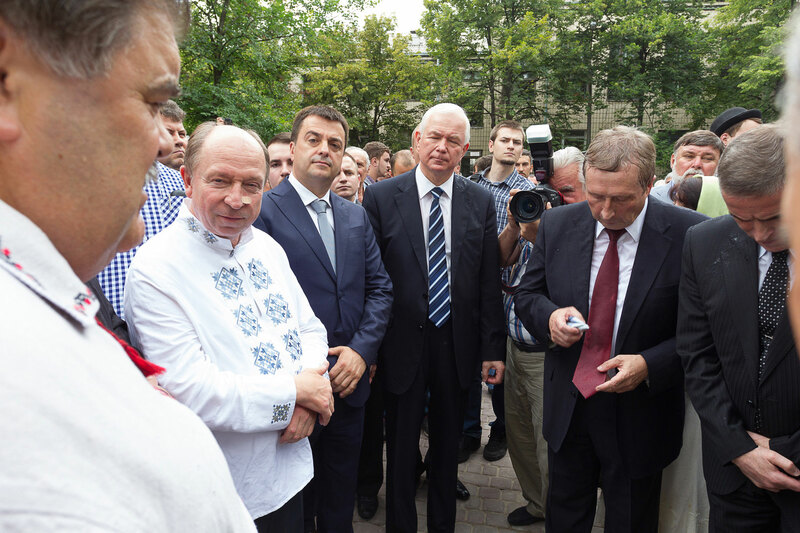 At the opening ceremony, besides them, there were a lot of people from the political, cultural and public life of Ukraine. 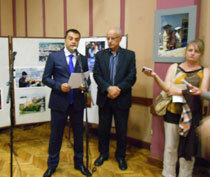 The exhibition “Ukraine today” and reception on the occasion of 23rd Independence Day of Ukraine have been held on 2 September 2014 in Niksic, at the Folklore Society Zahumlye`s hall. 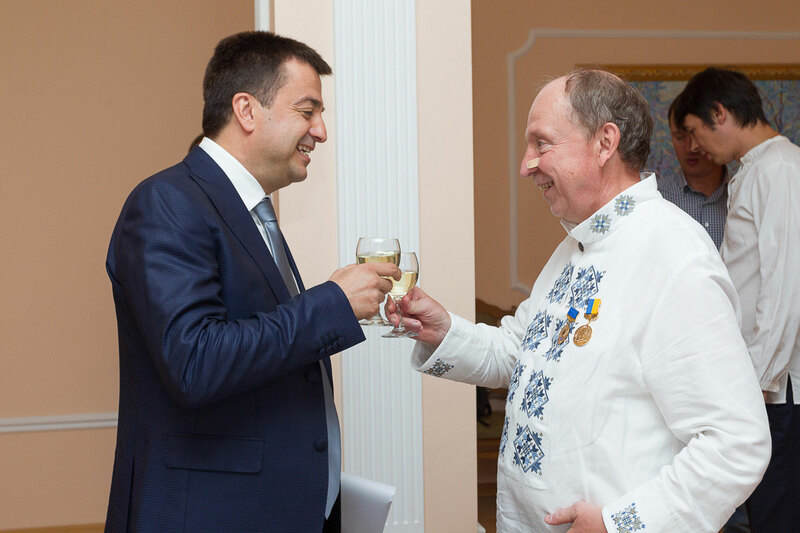 The ceremony was attended by the Honorary Consul of Ukraine in Montenegro, ambassadors and diplomats of Azerbaijan, China, Greece, Poland, USA, Hungary, UNICEF and other countries and international organizations, and representatives of society and domestic NGO`s. The Honorary Consul of Ukraine in Montenegro, Mr. Predrag Milovich in his speech said that Ukraine is a country of peaceful, hard-working and good people, for the past 23 years it has been the most spacious country on the continent, and the potential granary of Europe and now known as a country of pain and suffering. At the National Technical University in Kiev, St. Nicholas The Wonderworker Church, which is the patron of University, was consercrated. 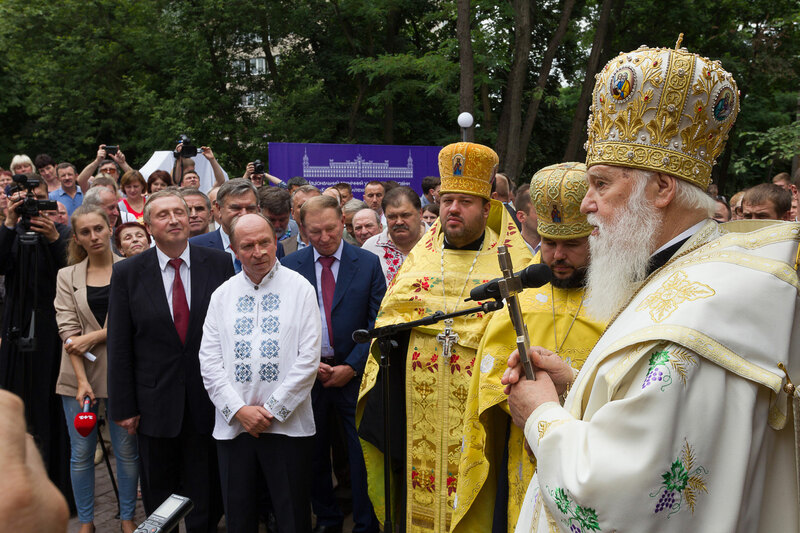 Many notable guests, representatives of different Christian religious communities attended the consercration, led by Patriarch of Kiev and whole Ukrain, Filaret. 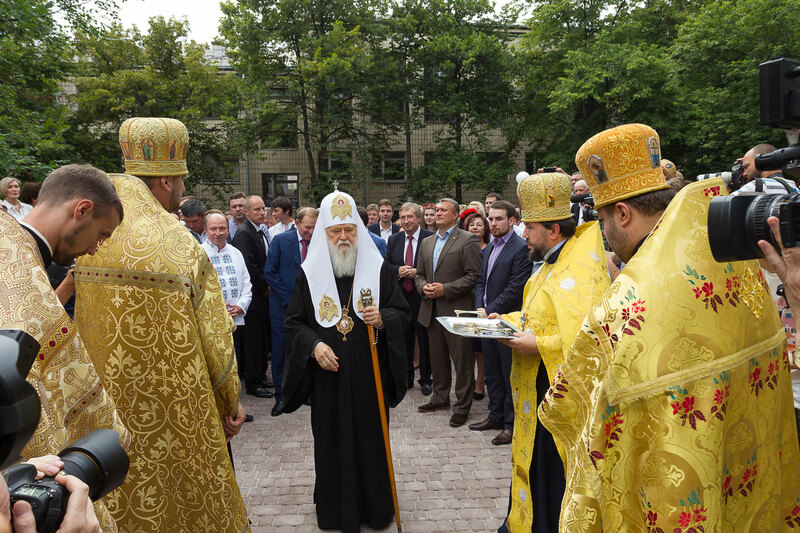 After the ceremony, Patriarch Filaret held a speech where he stated that there is no conflict between religion and science and that even Paul the Apostle encourages us to explore the world and admire the wisdom incorporated within the laws of nature. 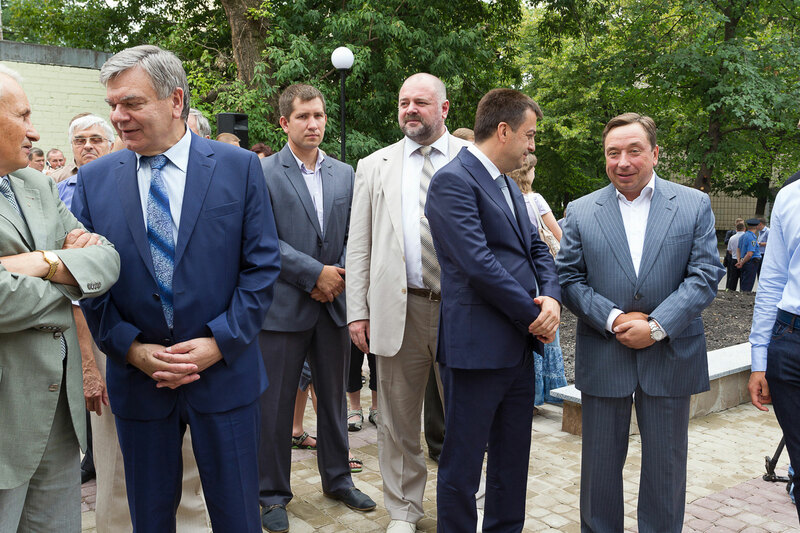 The opening ceremony of the church was attended by renowned Ukranian politicians, public figures, representattives of culture and art: Leonid Kuchma, Mykola Tomenko, Leonid Huberskyj, Leonid Kadenyuk, Ivan Drach, Nina Matviyenko. The founder, who financed designing and construction of the church, is a famous Ukranian scientist, social and political activist and Honorary Consul of Montenegro, Mr Stanislav Oleksijovych Dovhyj. Honorary Consul of Ukraine in Montenegro, Mr Predrag Milovic accepted his invitation and attended the opening ceremony of the church. 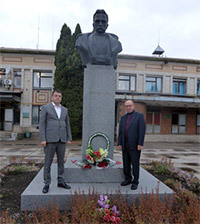 In the spirit of friendship which symbolizes contemporary relations between Ukraine and Montenegro and century-old tradition of closeness of Montenegrin and Ukrainian people, gentlemen Stanislav Dovgi, Honorary Consul of Montenegro in Ukraine, Yuri Ladislavovich Boshickij, Dean of the Polytechnic University of Kiev and Predrag Milović, Honorary Consul of Ukraine in Montenegro have laid wreaths at the monument to Petar II Petrović Njegoš. 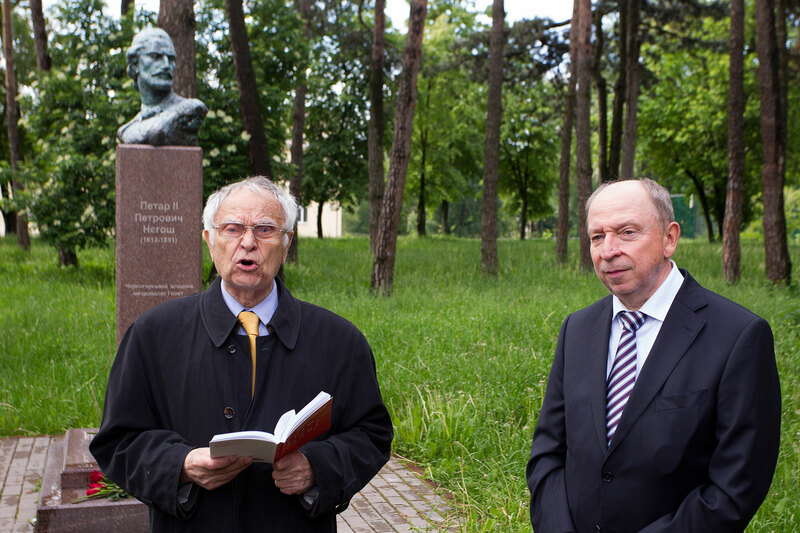 The Honorary Consul of Ukraine in Montenegro, Mr. Predrag Milović paid a visit to the Law University in Kiev after receiving invitation from the Rector of the National Academy of Sciences of Ukraine, Mr Ю.Л. Бошицького. Mr Ю.Л. 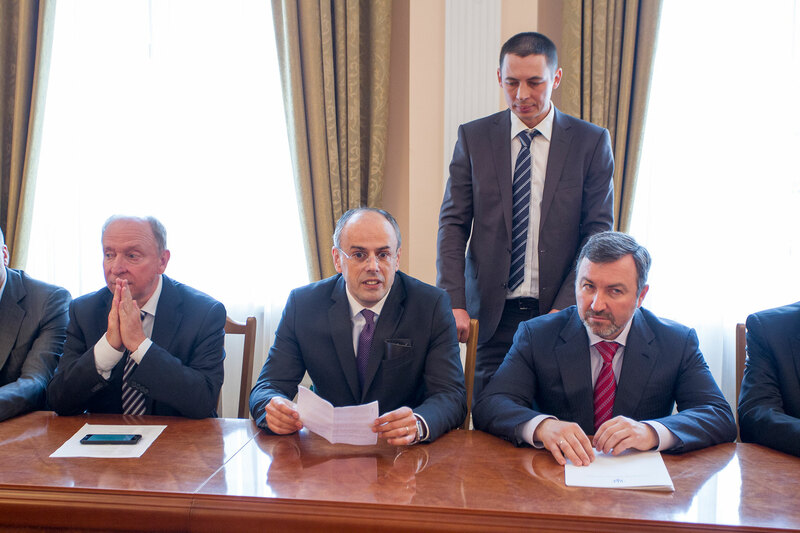 Бошицького pointed out that the main directions for development of the university and its business unit activities are focused on ensuring the integration of university in the international area. 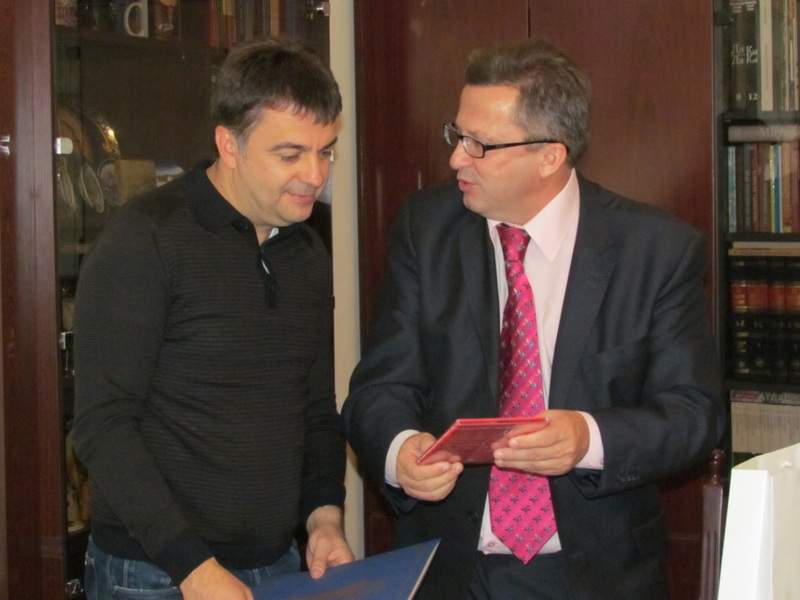 The Honorary Consul of Ukraine in Montenegro, Mr Predrag Milović received the award for promotion of relations between Ukraine and Montenegro, in the Ukrainian Embassy in Podgorica. This significant award was presented by H.E. 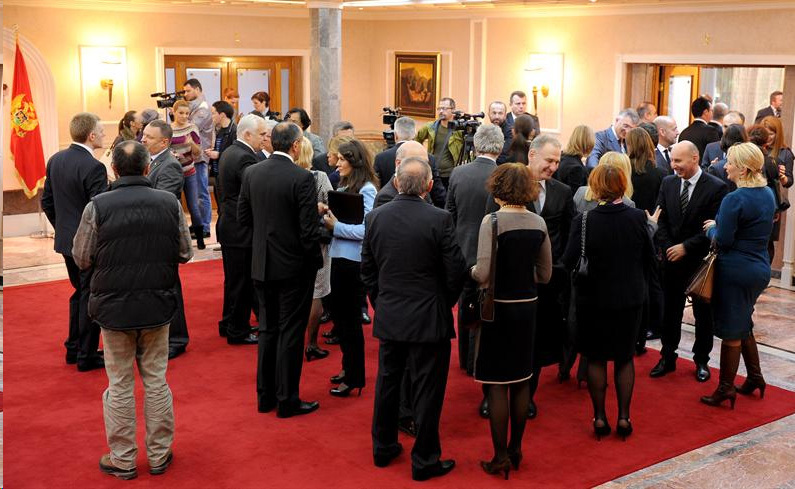 Oksana Sljusarenko, Ambassador of Ukraine in Montenegro in the presence of the Minister of Foreign Affairs of Montenegro, Mr. Igor Lukšić, the diplomatic corps and a number of prominent public figures. 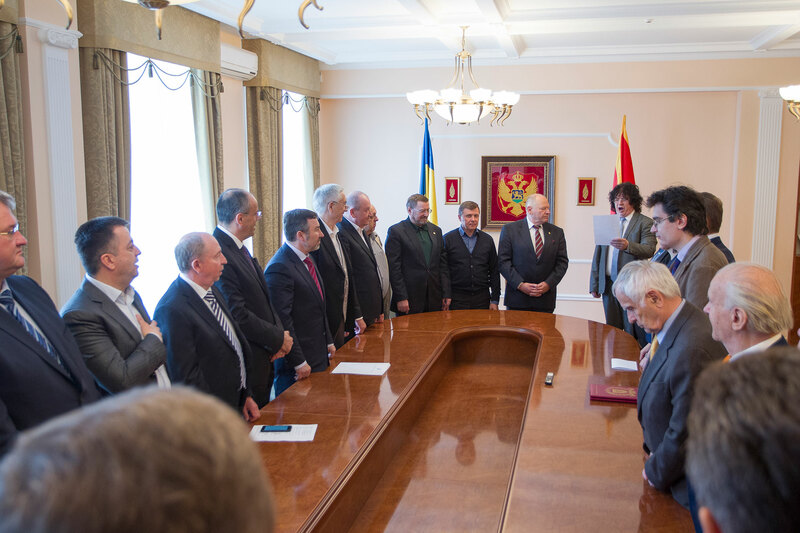 Montenegro-Ukrainian Business Association in Montenegro is established on the initiative of Honorary Consul of Ukraine in Montenegro, Mr Predrag Milovic, with the aim of improving cooperation between the two countries in the fields of economy, international economic cooperation and education. The main objective of the Association is to create new prospects of cooperation of Ukrainian and Montenegrin economy and to provide advice and support to all businessmen. In order to achieve its goals, Montenegro-Ukrainian Business Association will cooperate with same and similar organizations and associations, as well as with the Chambers of Commerce from Ukraine and Montenegro.